Learn about Apple Photos digital asset management software for businesses. Includes info on Apple Photos, free trials, pricing, customer reviews, and FAQs. Apple Photos is a digital asset management and editing application created by Apple. With this comprehensive software, users can easily find, edit, and share their best photographs. Features include memories, video editing, and iCloud sync. To access the Apple Photos feature, users will need an iCloud account. The iCloud account automatically provides users with 5GB of free storage. If you require additional space, you can buy more space, starting at 50GB for $0.99 a month. Pros: Intuitive and modern interface. Equipped with good photo-editing features. Cons: Filters and auto-albums needs improvement for customization. Available for Apple users only. Organizing photographs can be complex. Bottomline: Great product. This free and intuitive software is easy to navigate. The software allows users to easily share their photographs. Is there an Apple Photos free trial? No, Apple Photos does not offer a free trial. What are some Apple Photos alternatives? 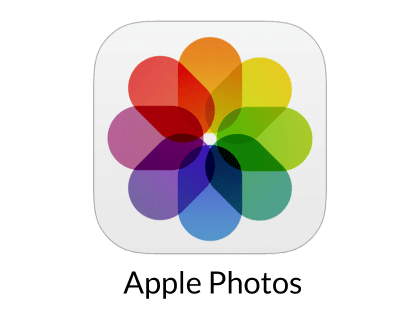 Where can I find the Apple Photos login? Go to apple.com and scroll down to the footer menu. Under the column 'Account', click the account you want to access and enter your details. John Giannandrea named to Apple’s executive team. Apple to build new campus in Austin and add jobs across the US. Apple launches app development program to support women entrepreneurs. Apple opens first store in Thailand. Apple adds support for contactless student ID cards in Wallet. Apple acquires Shazam, offering more ways to discover and enjoy music. Apple Photos is pretty good and gets better all the time. The more you use it the better it gets. The distinction between Albums and Shared Albums in Apple Photos is dumb. Edited a bunch of photos from recent Galápagos trip yesterday using Apple Photos, and was surprisingly impressed with the consistency / quality of the experience between Desktop / Mobile and the UI in general. iCloud actually worked for once, and editing was fun. Having easy access on iPhone, iPad, Mac, and Apple TV has been fantastic. We love browsing the Memories section (automatic grouping of vacations, year highlights, etc.) as a family on our big TV in the living room. Over time, Apple has delivered on its promise to improve Photos and with each iteration, the program becomes more capable, not to mention speedier, than ever before. It can now hold its own against many of the other post-processing software options available on the market. The option for iCloud Photo Library within the Photos App, makes it super easy and hassle-free to have your photos synchronized to a remote server (iCloud), and consequently other Macs, iPads and iPhones that have that feature turned on.